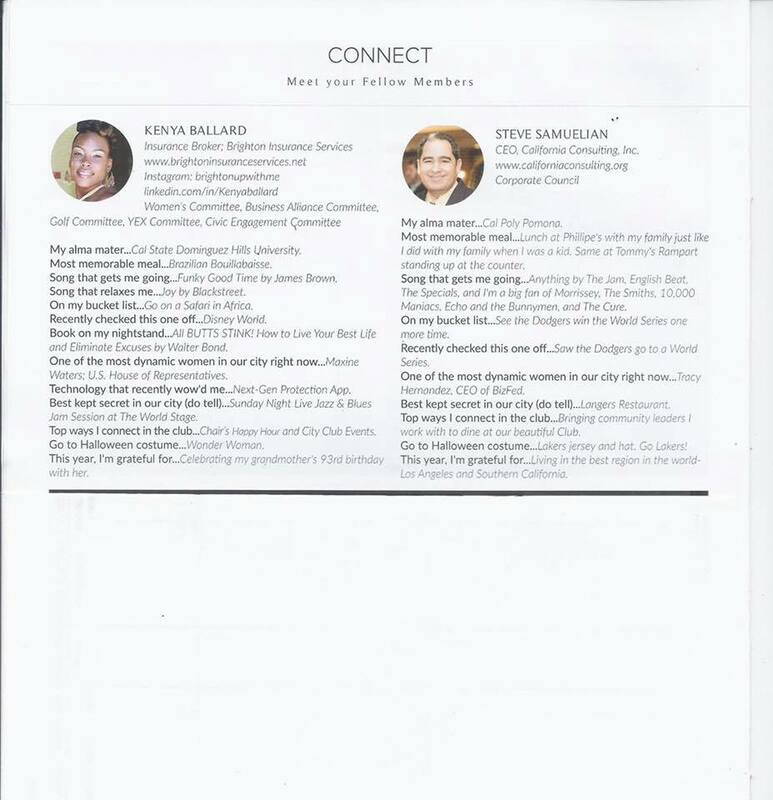 California Consulting CEO Steve Samuelian is featured in the newsletter of City Club LA - the most remarkable business venue in Los Angeles! 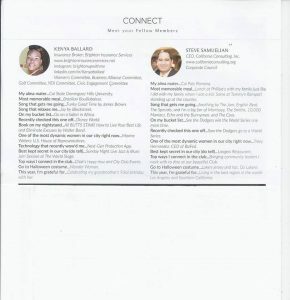 - California Consulting, INC.
California Consulting CEO Steve Samuelian is featured in the newsletter of City Club LA – the most remarkable business venue in Los Angeles! California Consulting CEO, Steve Sameulian, hosted a small private meeting with Maria Elena Durazo on October 30th. The meeting was located at the prestigious City Club in downtown Los Angeles. The meeting consisted of top business leaders throughout Southern California. California Consulting CEO Steve Samuelian had a productive and informative meeting with Ho-El Park, the President of the Korean American Chamber of Comme‎rce of Orange County. California Consulting is proud to provide grant writing services for many public agencies in Orange County and we look forward to our continued work with Ho-El Park and the good work done by the OC Korean American Chamber of Commerce.